The following is a psychoanalytic review of Inside Out, the movie, written by Lisa Colangelo Fischer, Ph.D.
My 11-year old son waited all week to see this movie, Inside Out. We finally saw it on Saturday at the 8:50pm showing which was not exactly the ideal time for my kids to be out this late. I half expected this movie, as with most Hollywood movies, not to be accurate especially in dealing with psychological concepts. I found out later that the writer of this movie took pains to consult with two psychologists, one of whom works in the neurosciences. As I watched the movie, I couldn’t help but look for psychoanalytic concepts given the nature of my job. The movie opened with a newborn Riley looking at her parents lovingly gazing on her and smiling. Right away the emotion of “Joy” fired in the neural synapses. This is in alignment with the attachment theory where a secure attachment is formed between infant and caregiver. Attachment theory is central in psychoanalysis because it gives us the understanding of how patterns in present day relationships are influenced by early attachment styles. The movie showed how forgotten and unused memories and their associated emotions are “cleaned out” by discarding them into the deep abyss of the mind where they then disintegrate and disappear. 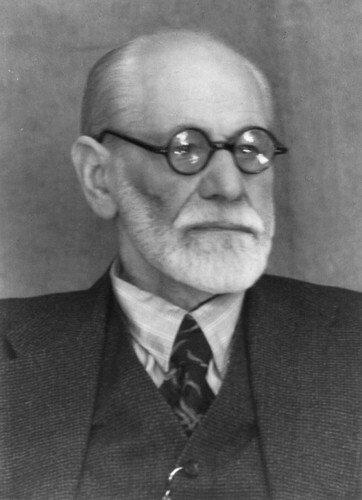 Sigmund Freud wrote an essay called “On the Psychic Mechanisms of Forgetting” in 1898. According to him, there is no such thing as forgetting. Rather, painful memories are repressed. The abyss in the dream could represent the unconscious. Instead of memories disappearing, they can actually be retrieved by making the unconscious conscious through dreams and free association. The painful memory of Riley’s first day in class was retrieved by Joy who was then stuck in the abyss. The movie ended with Riley’s emotions advancing to a complicated and complex network of combined emotions/memories/thoughts. This brings to mind for me the chaos theory of the mind. The chaos theory was borrowed by psychoanalysis from the field of mathematics which was an attempt to understand erratic behavior in nonlinear systems such as weather patterns. The human mind is not predictable and linear. As human beings we are complex and complicated and the movie ended with a positive note embracing that.